Aviemore Holiday Home. 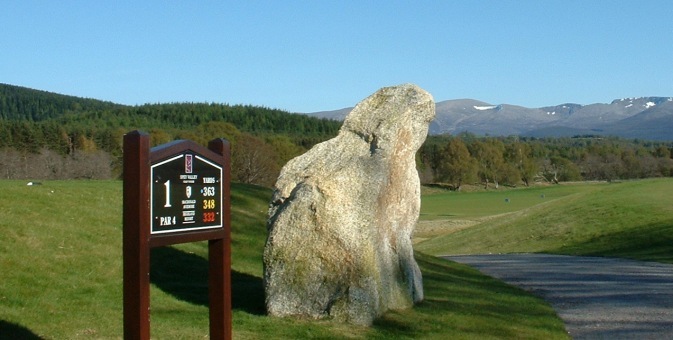 Golfing holidays in the Cairngorms National Park at Avonglen. With six 18 hole and three 9 hole courses to choose from within Strathspey and many more within easy driving range including the famous Royal Dornoch and Castle Stuart, one of the homes of the Scottish Open, Avonglen is a golfers dream. 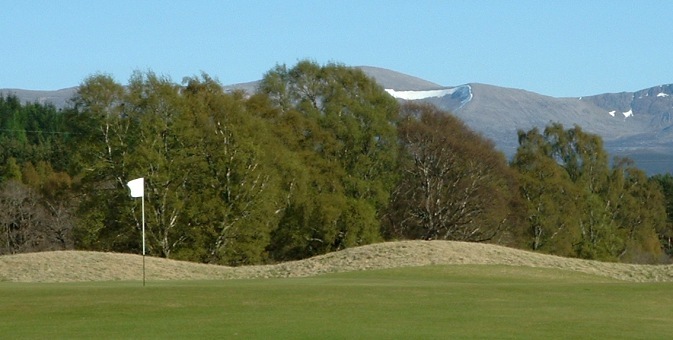 Each one of the nine Strathspey courses presents the visiting golfer with a unique challenge and they are always in excellent condition. 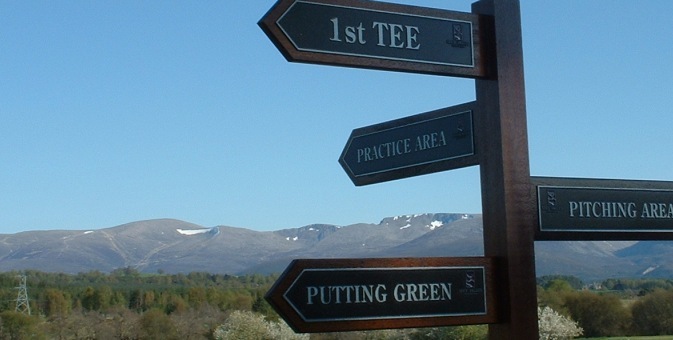 The 18 hole courses are to be found in Newtonmore, Kingussie, Aviemore (Strathspey), Boat of Garten, Grantown-on-Spey and Craggan (Grantown-on-Spey). 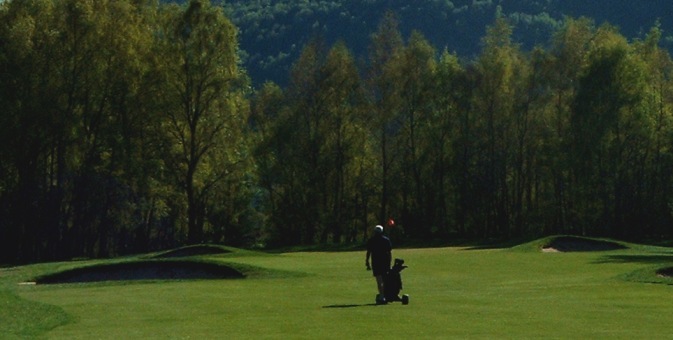 There are 9 hole courses at Nethybridge (Abernethy Golf Club), Carrbridge and at Dalfaber adjcent to the Strathspey Championship Course, just a few minutes walk from Avonglen. Significant green fee savings can be made by purchasing the Aviemore and the Cairngorms Golf Pass. These passes, which cost £20, entitle golfers to a 30% discount on green fees at all of the participating golf clubs within Strathspey and the Eastern side of the National Park. They are available for purchase form all of the participating clubs. Avonglen has three sets of golf clubs available for guests use, please ask for details. We have played each of these courses many times and we can honestly say that every one is well worth a visit. Green fees in Strathspey are very reasonable... as little as £25 for a day ticket at Abernethy (£18 for 9 hole ticket). We recommend that the visitor purchases the Cairngorms Golf Pass if a number of courses are to be visited, at just £20 and valid for a year it gives the holder a 30% discount on green fees at 12 courses in the Cairngorms National Park. A very warm welcome awaits you in all of the Strath's clubs. Avonglen offers superior Self Catering in the Cairngorm National Park from £995 per week, Saturday to Saturday. We have four adult mountain bikes for hire at £25 per bike per week, the best value in the valley. Aviemore is a special & very popular place for the festive season. Sorry, Avonglen is fully booked for Christmas and New Year 2018/19. Friday 5th to Saturday 13th July or Saturday 6th to Sunday 14th July. 8 Nights at £100 off the weekly rate. Now just £895. Free use of Avonglen's 4 Trek Mountain Bikes with this offer. Please check our calendar for full availability. Had a lovely stay in your beautiful house, so many extras!! There was even some snow on the tops. A truly wonderful house to come back to. Mr & Mrs Stewart, North Yorkshire. October 2013. At the heart of the National Park, Avonglen is your Aviemore Holiday Home for superior Self Catering. Please check our diary for availability.